Imagine coming home and finding your security gate is stuck closed or it gets stuck in the open position. This can be one of the most frustrating experiences anyone can have. Until it’s fixed your first line of security is gone. The problem few people consider the possibility until it happens. If your residential or commercial electric gate is experiencing some kind of problem and it won’t function properly, call us. Magic will fix it fast. We are a leader in electric gate repair in Encino. There is a reason our clients have placed so much trust in us over the last 10 years with their first line of security. They want a company that can get the job done perfectly. We are that company! We focus in garage door and electric gate opener repair and replacement and new gate installation. We repair automatic gate systems and garage door systems for homes and business across Encino. Magic factory certified technicians are the area’s best professionals for new gate installations in Encino. If you’re looking for the most state-of-the-art new gates to install, or have a complicated situation we excel at problem solving for our clientele no matter what the concern. Our factory trained and certified gate technicians have the capability to carry out the most difficult gate repairs. In Encino we offer 24 hour service, 365 days a year. When gates get stuck halfway through the cycle they are in need of attention no matter the time it is. That is a serious security breach you want attended to as soon as possible. Let’s face it, it doesn’t matter if it is on your day off and you didn’t have anything better to do, no one wants to wait around for the gate repairman. This is why our company offers 24/7 emergency gate repairs in Encino. Our professional technicians are on call constantly to bring Encino residents and business the assistance they want to fix their broken gate openers, gates, and overhead doors. We dispatch technicians right away and they will get to you within 60 minutes following your call. We can also show you the required certifications before starting any work on your gate opener or your gate. That is never a problem. We arrive when we say we will and we have all the needed tools and equipment to fix the gate the right way. It’s usually the driveway gate opener that needs repair when your electric gate declines to open or when the electric operator doesn’t work. The control panel could also have some faulty elements. The tracks, rollers and the wheels could come out of alignment. Years of experience servicing electric gates in Encino make Magicthe company to count on to keep your electric gates working. If your gate is closing hard or stops closing, it’s a wear problem. Let us fix it. If the chain stretches or comes loose, you always hear grinding noises. Call us first to fix it for you. First, our technicians do a methodical and careful examination of what could be causing the electric gate to fail. 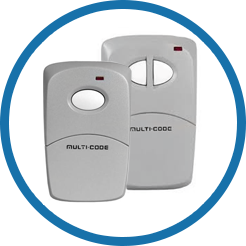 Once your gates problem is found, we take the necessary steps and replace the broken electric gate or electric gate opener parts with new ones. We don’t leave until your automatic gate or gate opener is as in good shape as a new one. We fix home and commercial gate intercoms and phone entry devices. We offer complete tune-ups to make sure the whole thing is working as planned. With normal use, your gates need to be serviced at least once a year to keep them working perfectly. Mechanical parts wear down over time and don’t last forever. We warranty your gates will keep working flawlessly as long as we are doing the maintenance and repair work on them. Our technicians stay ahead of problems. If you need repairs now, it doesn’t matter what kind of problem you have, Magic will repair it right away. If we maintain your gates, they stay problem free. We install any and all gate models and do it at reasonable prices. We also install new intercoms, key panels, electric eyes, sensors and lubricate all gate parts to get your gate working efficiently all the time. Security and fabulous entrances shouldn’t be restricted to the rich and famous. We know potential clients investigate what they need for security improvements. We try to augment that by giving you expert advice. We can take that up a level and provide rock-solid information on what can be done to accomplish your goals. Our craftsmen customize the appearance and utility of your gates. 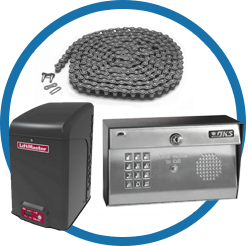 Call us for the most reasonable pricing on electric gate maintenance, repair, and installation. We provide over a decade of solid experience making our clientele secure while beautifying their entrys.